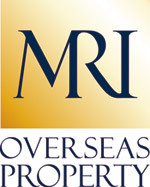 Since May, 2009 the MRISG members and organisers have been intimidated, abused, spied upon, libeled and received legal threats from MacAnthony Realty International Directors and lawyers, Carter-Ruck. Although the Mirror Blog, Financial Mail, Olive Press, The Phoenix, The Times, Diarmaid Condon and Guardian/Observer have taken up the story, no one has yet done a full and in-depth investigation of MacAnthony’s collapsed empire. Could it be that when they do report on MacAnthony’s past property empire, they automatically receive legal threats for libel from MacAnthony’s pet Lawyers, despite the lawyers being fully aware of the truth. It is worth knowing that not one of his spurious complaints has ever going to court or gone further than those initial empty threats. This situation has perpetuated because of the stupidity of UK Libel law and greed where corrupt commercial ventures are allowed to use people like Carter-Ruck to intimidate their victims to keep the corruption about their clients from the public and where the rich can buy their own justice: the greedy lawyers are always found face down in the trough. In the mean time MacAnthony has been free to pushes his own self publicity about his mediocre football team Peterborough United and his questionable charity work and self declaration to being an Entrepreneur and false Philanthropy. The MRISG will soon expose the conspiracy of silence and inaction demonstrated by the UK Media and expose both Carter-Ruck and Darragh MacAnthony for their contempt for justice, truth and greed for money. Yet you will not see published anywhere cases where MacAnthony has lost court cases in Bulgaria, UK and Spain…. You run a search and you would believe MacAnthony to be a ‘Saint’ but the truth is far more sinister where corruption, money, body guards and his ego are his gods. The upcoming Court Case against MacAnthony and his Directors in Spain should reveal the depth of only part of the contempt and corporate corruption overseen by MacAnthony until December 2010. Yet will the UK mainstream media finally do their own investigations and reveal the extent of that corruption? MacAnthony spies who have lied and hacked to get sight of the forum content to try and foil any legal action and to close the site down. MacAnthony’s very own inflated Ego and self belief. MacAnthony the only reason this website exists is because you have failed to address your customers’ concerns in the beginning and through greed or utter arrogance or both you chose to attack those customers instead of dealing with the problems turning them into your victims. Yet not once have you, your directors or lawyers contacted the Webmaster of this site to offer conciliation or commented on this blog to rebut any of the allegations. Can readers assume you agree with the comment and content. MacAnthony you can employ as many On-line Reputation Companies and lawyers you like but this forum and website will continue to report on your activities and expose you to the wider public for what you are. The site is safe from your attacks despite being hacked by your unscrupulous lawyers, On-line Reputation Companies and less savoury individuals. You can employ as mane SEO companies as you like but this forum and website remains at the top of search engines and will remain there because real Web Developers and SEO experts have stepped forward and give their superior skills and services free because they feel that people like you should not be allowed to simply buy prominence and intimidate or abuse your victims. The MRISG welcome your comments. 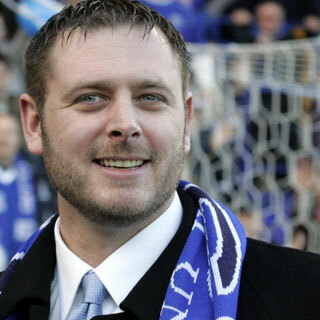 PETERBOROUGH United chairman Darragh MacAnthony has been ordered to appear in court in Spain next month over fraud allegations. The property millionaire is accused of selling nearly 50 British and Irish victims non-existent properties and furniture. Last month over 40 victims travelled to Marbella to tell a judge how the football boss’ company MacAnthony Realty International (MRI) failed to deliver over half a million euros of furniture to them.